Peasant Revolt is a game information page. It is categorized as: Orthodox chess, . Author: George Whelan. Inventor: R. L. Frey. Browse items that also start with the letters Pea. Peasant Revolt Chess. 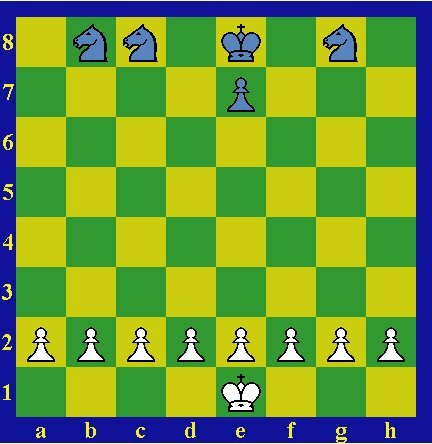 Eight pawns vs. three knights and pawn. Author: Ed Friedlander. Inventor: R. L. Frey. Peasant Revolt. Modest variant with unequal setup. Author: Tony Quintanilla. Inventor: George Whelan.